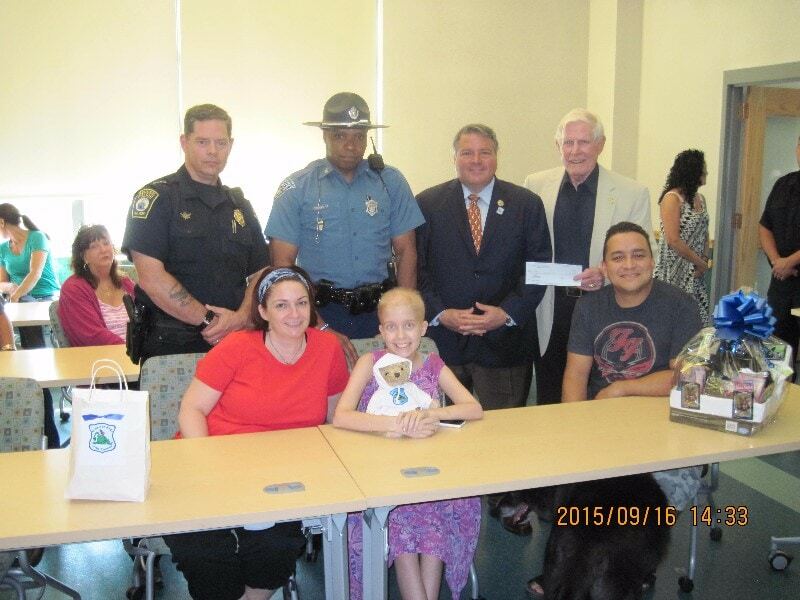 On September 16, 2015, Cops For Kids With Cancer went to the Revere Police Department and made a $5,000,00 to the family of Skyler Pappl, a 13 year old girl from Revere who has T-cell ALL Leukemia. In photo left to right, front row, Mother, Ellie, Skyler, and friend. Back row, Chief Joseph Cafarelli, Trp. Eric Moseley who raised money running marathon for CFKWC, Mayor Dale Rizzo and Bob Faherty.